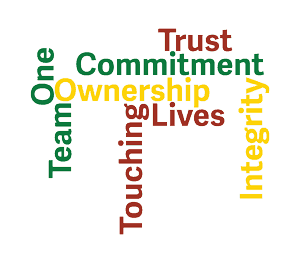 “One Team” is not only one of our six core values (along with Touching Lives, Integrity, Trust, Ownership, and Commitment), it is our rallying cry and the way we approach solving problems and running our business. Many organizations talk about the importance of their team…of “pulling together as a team” when faced with adversity. 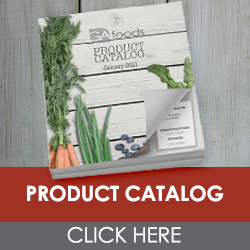 We at GA Foods have come to understand the importance of emphasizing that our company must collectively act as one team…and not a collection of teams with competing interests and priorities. We can’t say…” this is a Quality Department problem, not a Customer Care Center problem” or “the Nutrition Team needs to fix this, it’s not a Kitchen issue.” We continuously reinforce throughout the entire organization that it takes all of us to work as one team to deliver the very best tasting, most nutritious meals with the highest service levels at a cost-effective price to meet our customers’ needs and serve the seniors, children, military, and disaster victims entrusted to our care as best as we possibly can. The GA Foods team is a diverse and energetic group. We are based in beautiful St. Petersburg, Florida, but can be found from Iowa to New Jersey, Texas to Georgia…and even more locations as we have become one of the fastest growing firms in our industry. We are led by some of the most well-respected leaders in our field and have been guided by our founders, Ken and Jim LoBianco, after more than 40 years of hard work of building GA Foods, one long-term customer at a time.